There’s type and then there’s type. After another day of slogging off and onto the couch, I opened the mail. In among the junk, two gems, two volumes I’ve been waiting for. 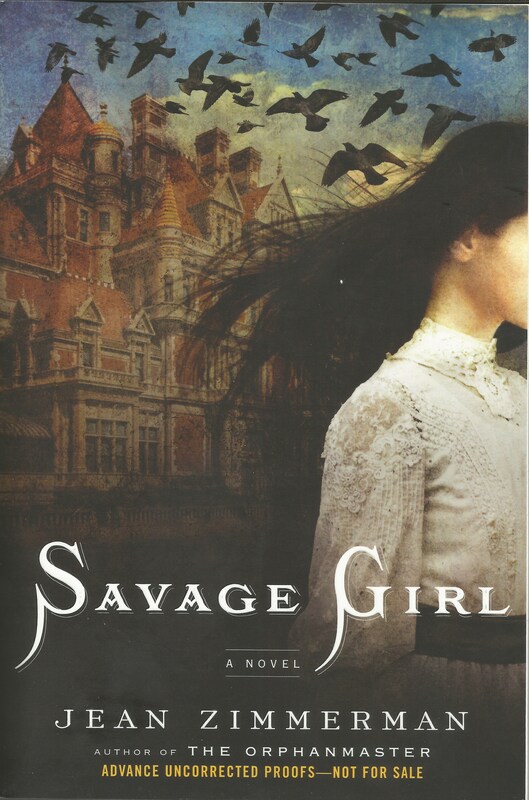 Two Advance Reading Copies of Savage Girl. Two ARCs. The novel will be out in March 2014. But it’s alive and breathing in its beautiful jacket even as we speak. This is the copy that will go out to early commenters and reviewers, bloggers and big mouths, so we want for it to be gorgeous. And that type. That’s what pops. The image of the girl and the mansion resonate, but the type’s what brings it to life. 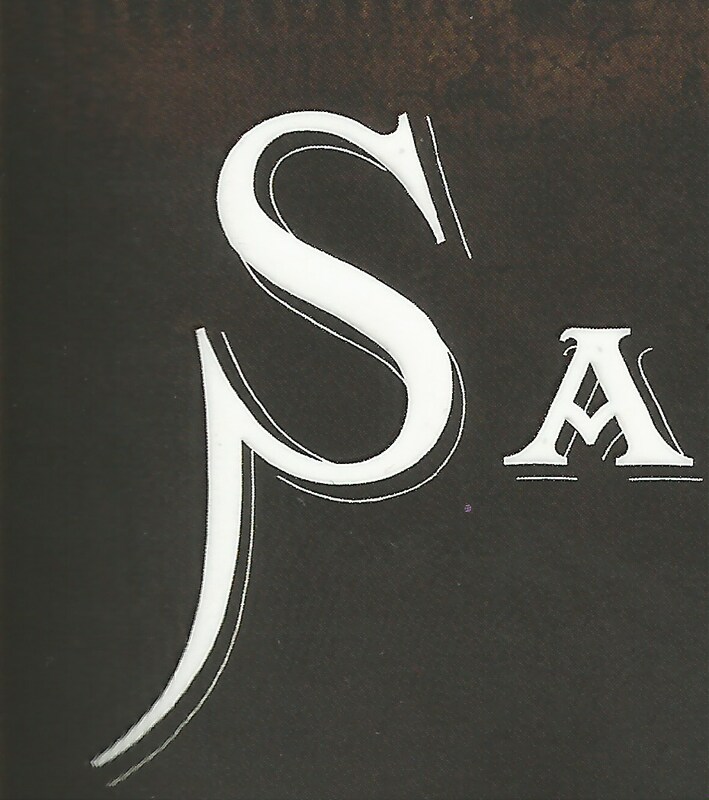 The title announces itself in a virginal white whose lines also embody the savagery of the title, and the two words are embossed, smooth under your fingertips as I didn’t know they would be when I simply saw the cover proof. Now its typography renders the package dazzling. 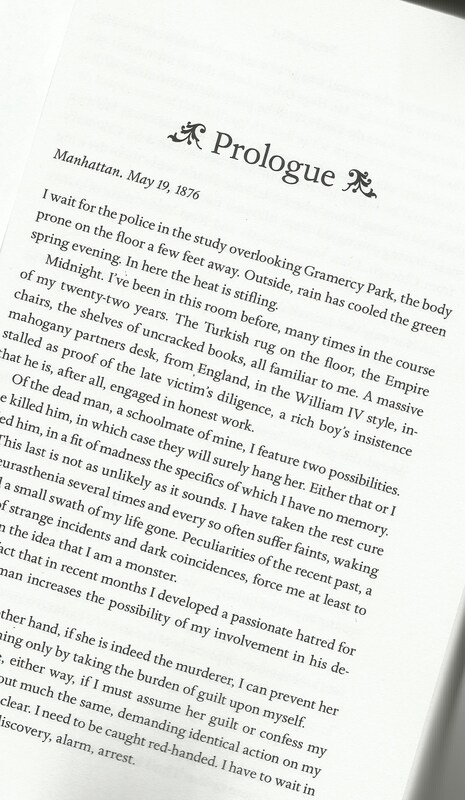 Crack it open and you get the prologue, the first outlines of the mystery the narrator Hugo unfolds. The type popped. Now I’m going to have some pizzazz, too. Gil and I picked up a scooter I’d reserved for rental at the drug store. It waited patiently at the Greek restaurant we like while we downed our sandwiches and skordalia. Then it came home with us – and boy, do cars stop for pedestrians when they see a scooter. It’s somewhat easier to get around than crutches and I’ll be freer to exit my couch and have adventures. I think I’ll call it the Bloke. Right now the Bloke is in the back of the Suburu, waiting for me. Knee scooting is a little like being 10 again. And there’s a big basket for all the stuff you didn’t have when you were ten. That’s a FABULOUS cover! And at an airport not long ago, I saw a youngish-mature woman navigating SWIFTLY on a knee scooter… I’d not known about that mechanism before. Good luck with YOURS! But I’d never met SKORDALIA before, either… it sounds like it’s exactly what you need, rich, healthy, and full of anti-oxidants. Thank you Gwen. I look forward to hearing your response! congrats—the cover is beautiful!! I am most anxious to read it! 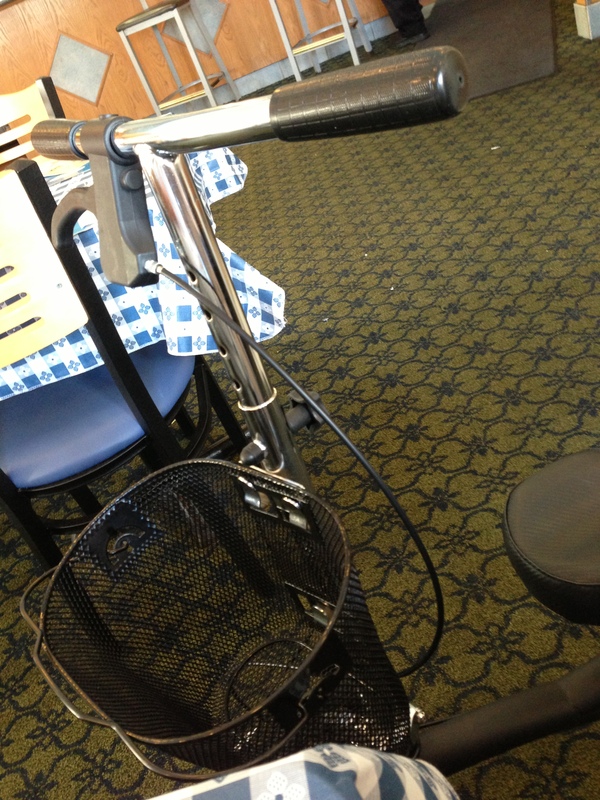 I’m supposed to be putting no weight at all on my foot, so crutches it is — or the scooter if I can make it work. I’ve never used a scooter/skateboard/anything low on wheels, so it’s a novelty. I had my knee replaced 1.5 years ago. They didn’t offer me a scooter, though, because that would have meant putting weight on the knee that was still healing. Instead, I had to use a walker or crutches. Getting around was abominably difficult. I envy you your scooter! Perhaps you should knit a little purse to go on the handle bars so you can carry even more superfluous stuff. I wish you a very speedy and comfortable recovery.